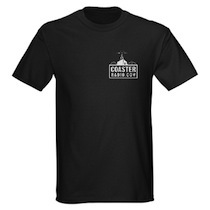 On a recent episode of Coaster Radio, Mike and EB went over some good (and some not-so-good) ideas for Christmas gifts for your fellow coaster fans. Sorry guys, I’m not a billionaire, so don’t expect the Disneyland coffee table from me. However, if you’re like me, your family knows how much of a geek you are when it comes to amusement parks and roller coasters. So going into the holiday season, I’m always looking forward to what people will be getting me. In any case, I asked for a season pass to a local water park, so I’m looking forward to a full summer of water slides! But I’m not just on the receiving end of the coaster gifts. My uncle is a theme park fan as much as I am, so I’ve been giving theme park-related gifts to him for years. Some of the things I’ve passed along are Cedar Point hoodies, a single-day admission to Dollywood, a K’Nex roller coaster set, and Disney gift cards. Let the record state: you can never go wrong with Disney gift cards, especially if it’s someone who goes to the Disney parks somewhat regularly. This year my uncle finally caved in and rode Top Thrill Dragster for the first time, so I’m giving him a Coaster Dynamix Statix model of a Dragster Train. And while I was doing that shopping, I also got a Millennium Force model for myself. Merry Christmas to me! I’m not sure if my co-workers haven’t noticed the coaster model in my cube yet, or if they’re just quietly laughing at me… I’ll assume the former. But overall, the Statix models are very nice and pretty realistic, so I’m happy with the purchase. And of course I’m also throwing in a Disney gift card. Seriously—can’t go wrong. I’m sure that whatever your gifts may include, coaster-related or not, will bring joy to the holiday season. And that’s really what it’s all about. 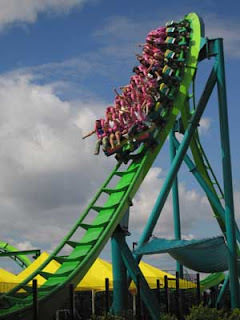 But for the theme park fans in your family, there are some very good options out there to bring the thrills home. Merry Christmas from a fellow coaster boy! 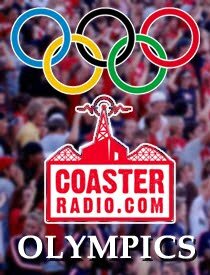 Neil Patrick Harris and CoasterRadio.com tell the holiday tale of a magical Christmas Eve visit from the world's most obnoxious coaster enthusiast. 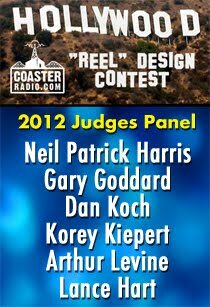 Happy Holidays from your friends at CoasterRadio.com! Think about your first trip to a park; it was probably a blur of colors, sounds and temper-tantrums. But what about that sense of whimsy when you saw Disney World’s castle for the first time, or the fear you felt approaching your first coaster loop? 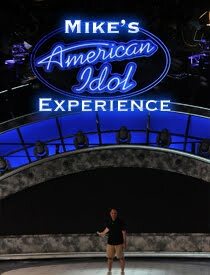 Theme parks might be expensive, tiring and stressful, but take a step back and you’ll see that they can also be emotional training-grounds. It’s the thing that most coaster-boys hate: the queue-line. Standing in the sun with a toddler might be hell, but waiting patiently is a great way for the young ‘uns to learn that sometimes, that’s the only way to get what you want. Even electronic q-bots and fast-passes can teach them this, if you explain that you’re waiting your turn to do something awesome. They’ll half enjoy, half dread the tension a line builds before their first big ride. And the stories that queue-line theming can tell visually, without words, are a good way for kids to think of narrative in a more lateral way. It’s also a great place to talk to them about what they’re going to experience and allay their fears - or scare the crap out of them, if you’re that sort of parent. We’ve all seen it. That one kid who is so terrified to ride something, they’ll happily scream until they puke. Being a good parent is learning to get to know your kid and what they can handle, but sometimes it’s important to push through that fear. And if that means tears, it might be for the best. We’re talking Haunted Mansion / first big log flume, not Kingda Ka but learning that you can’t back out just because you’re scared of something is important. Asking that girl out on a date, applying for that one job you don’t think you can get or giving a public speech, it’s a similar lesson and for many of us we learned it first at a theme park. And if they do push past the wide-eyed terror, not only do they deserve a high-five but they’ll love themselves for it. Remember conquering your first drop-tower? Or your first grown-up flat ride? Isn’t that feeling of adrenaline and pride one of the best things ever? Whether Big Thunder Mountain was your Everest or The Hulk was your nemesis, it feels pretty good walking down the exit ramp a hero. Sometimes you just can’t have it. And with theme park prices for food/merch/waterpark entry/upcharge extras, most kids are going to learn that they can’t have everything, so they should enjoy what they can have. Bah Humbug. But the most important rite of passage? The all-out assault on the senses that a theme park can be. Whether it’s passing under Islands of Adventure’s Port of Entry bridge, strolling down Disney’s Mainstreet USA or catching a parade, those are moments that you’ll never forget. The mist effect pumped into a haunted attraction, the soaring musical score of rides like Jurassic Park: River Adventure or the suspension of disbelief that, “something has gone terribly wrong.” These are what memories are made of. 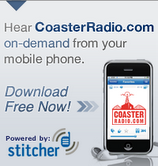 CoasterRadio.com #809 - Neil Patrick Harris - LIVE from EPCOT! 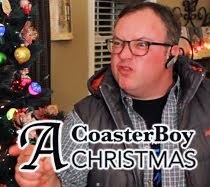 * Details on the upcoming short film "A CoasterBoy Christmas!" * A call from the "Bat Cave"
* And details on a special guest next week! Are you looking for the best roller coaster and theme park gift ideas? You've come to the right place! Here are some of our favorite ideas for 2013!! !